Is city living the Tampa Bay lifestyle you are looking for? The Tampa Bay area offers locations where you can work, play, and live all in one area. 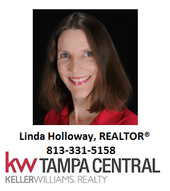 All three of the principal cities adjacent to Tampa Bay offer city living lifestyles. If you are looking to work, play, and live all in one area of Tampa, the Channel District and Downtown Tampa area may be for you. Channel District Condos include The Towers of Channelside, The Slade, The Meridian, Grand Central at Kennedy, and Skypoint is in nearby Downtown Tampa. With revitalization underway, Channelside Bay Plaza may soon have a new owner to bring it back to life. With views of Garrison Channel, the Port of Tampa, and the Downtown Tampa skyline, the Channel District also offers dining, museums, and entertainment. The Tampa Bay Times Forum and the Tampa Convention Center are located in the Channel District and Downtown Tampa area. For city living in St. Petersburg, condos and townhomes ranging in style from classic to contemporary offer beautiful skyline views and amazing sunsets. Unique condominium complexes offer various types of amenities nestled among the waterfront and downtown St. Pete. Signature Place, Ovation, and Parkshore Plaza are among the many condominiums to choose from. Revitalization is alive and well in St. Petersburg. The City of St. Pete is currently seeking public input on a new Downtown Waterfront Master Plan. Baywalk is in the process of being reborn as The Shops of St. Pete. Parks, cafes, fine dining, specialty shops, and baseball are among the activities and entertainment you will find nearby. Downtown Clearwater also offers the opportunity to work, live, and play all in one area. The Cleveland Street District is Clearwater's new downtown. As part of downtown Clearwater's revitalization, the historic Capitol Theatre on Cleveland Street is being renovated. Water's Edge and Station Square are among the condominium complexes offering city living in downtown Clearwater. This urban lifestyle includes views of Clearwater Harbor, shopping, dining, and entertainment all nearby. Tampa's Channel District, St. Petersburg's Waterfront Downtown, and Clearwater's Cleveland Street District all offer working, living, and playing in the area. Which city living style is the one for you?